Despite all the information on how to care and style natural hair, there are essential aspects that are commonly overlooked. Some of the basic terminology that is casually spoken by seasoned naturals usually leave the newly naturals confused and trying to figure out what they mean. 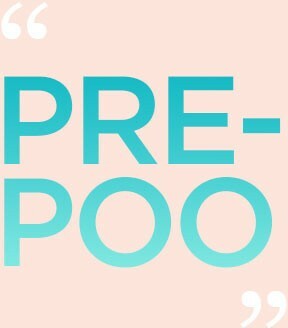 Can you go into a forum without someone asking countless times what a pre-poo is? Yes I know the feeling, but if you are on the outside looking in, you feel alienated and when someone gets blasted for repetitively asking the same questions, it discourages others from asking. 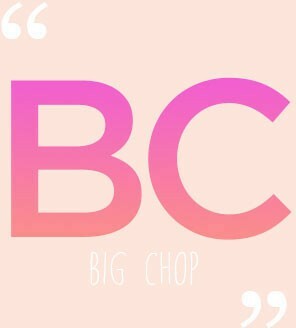 Big Chop or BC is cutting the relaxed hair as a means of allowing your natural texture to grow out. It is not a trim or a regular haircut but a way to remove all relaxed hair. Now, many veteran naturals will do a second or even a third BC but the term it usually used in the context of initially going natural and discontinue relaxing. Pre-poo is an oil treatment applied to the hair prior to shampooing. This helps to combat the drying and tangling from the shampoo stripping the hair's natural oils. When the hair is washed after applying heat tools at high temperatures (flat ironing, blow drying, etc.) and it does not return to its original curly and coily texture, the hair has experienced heat damage. Another way that heat damage manifests is split or jagged ends that are limp, lifeless, and excessively dry. 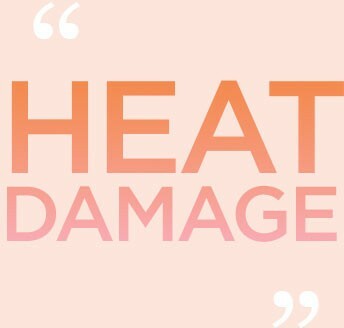 There is no product or technique to repairing or revert heat damage. Heat-damaged hair must be cut off. For small areas or patches throughout the hair that appear to be looser than before, especially looser sections, it helps to do a deep conditioning and protein treatment to expedite the reversion process. Sometimes the hair is just slow to revert and not damaged. If the hair is indeed damaged, there is no way to fix it. There is also no such thing as heat training your hair. If your hair refuses to curl or coil after heat applications, it is not trained to be straight, it is damaged. 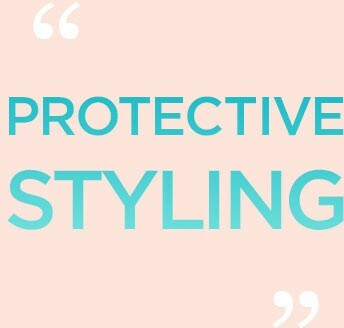 These are styles that protect the oldest hair and most fragile part of your hair, the ends. Protective styles prevent the ends from being over manipulated and exposed to the weather elements, pollutants, and friction from clothing. Since many styles can actually be damaging if kept in too long or installed too tight like weaves or braids, not every style that keeps your ends hidden is the best option. Hiding hair under wigs, weaves, or braids and neglecting to thoroughly cleanse the scalp and lubricate the hair is not protecting the hair and may actually cause damage. This is the point where the relaxed hair and the new growth meet. This hair is very weak and must be treated gently. Many think going natural or long-term transitioning will cause breakage when it is the lack of gentleness and failing to keep the hair properly moisturized that causes breakage. Low manipulation is necessary to keep breakage to a minimum. This describes how well or poor a product lubricates the hair for an easier detangling process. Many products with great slip have water and natural oils as the main ingredients. 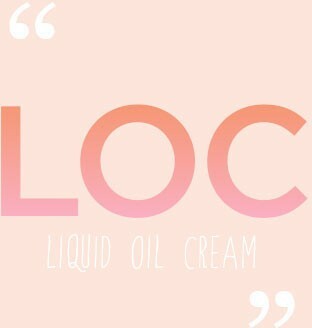 LOC stands for liquid, oil, and cream. This is considered the ideal formula to maintain the moisture for natural hair. First, apply the liquid (water) to moisturize the hair. Next, apply the oil to help lock in the moisture and then follow up with a cream (butter-based) to seal it in completely. A styling product can be applied after this method. 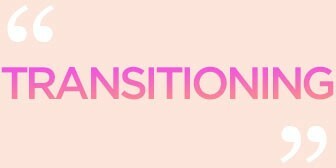 Transitioning is allowing the virgin (unprocessed) hair to grow from the scalp with the intentions of gradually trimming the relaxed ends. Some women do not want to sacrifice length and have limiting styling options with a teeny weeny afro (TWA). If you are consistently trimming at the rate that your hair grows, the relaxed ends will be completely gone between one to two years; it all depends on the length of your hair. Many decide to BC within a few months after being frustrated from handling the clashing textures. Low maintenance or low-manipulation styles are highly recommended for long-term transitioning. Curly styles such as bantu knots, roller sets, Curlformers, and two-strand twists are easier to maintain and blend better than styling straight hair. Your hair is going to be curly anyways. You might as well get some practice! 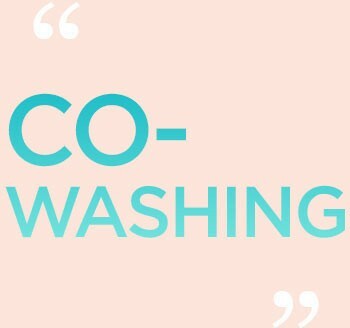 Co-washing is washing the hair with a botanical (plant-based) conditioner instead of shampoo. These conditioners do not contain silicones, parabens, or sulfates and many have cleansing agents that are gentler than shampoo. These are a part of the natural holy grail and every natural has her favorite. Essential oils are byproducts of various parts of plants after being extracted from a distillation process. This would include extremely fragrant oils like lavender oil and tea tree oil. Carrier oils are derivatives from the fatty portion of plants. 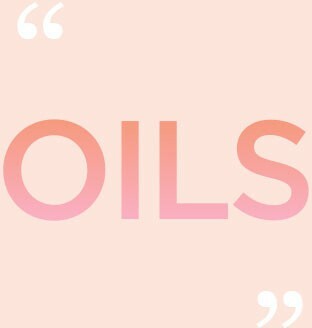 Some carrier oils that can be used to dilute essential oils include avocado oil and jojoba oil.